YOU’VE been on the hill for hours. You are tired and weary, on your last legs. You need a rest, you need food, you need shelter. You need to get out of the wind and rain. And then you see it; a lone light in the vast, wild landscape, a beacon drawing you onwards to a refuge from the elements. The bothy. You open the door and are immediately welcomed into the warmth, greeted by like-minded souls already ensconced for the night. They may be Scots, they may be from anywhere around the globe, but under the roof of this rudimentary shelter on this night they are all one. Shared accommodation in Spartan conditions, but also shared hospitality, tales of a day on the hill in front of a roaring fire often accompanied by a dram or two. Clothes hang from every possible hook or line drying out from the day’s efforts, steam rising, a smell of many miles walked, thousands of feet ascended. There are bodies all over the floor, sometimes more on raised shelves lining the walls. 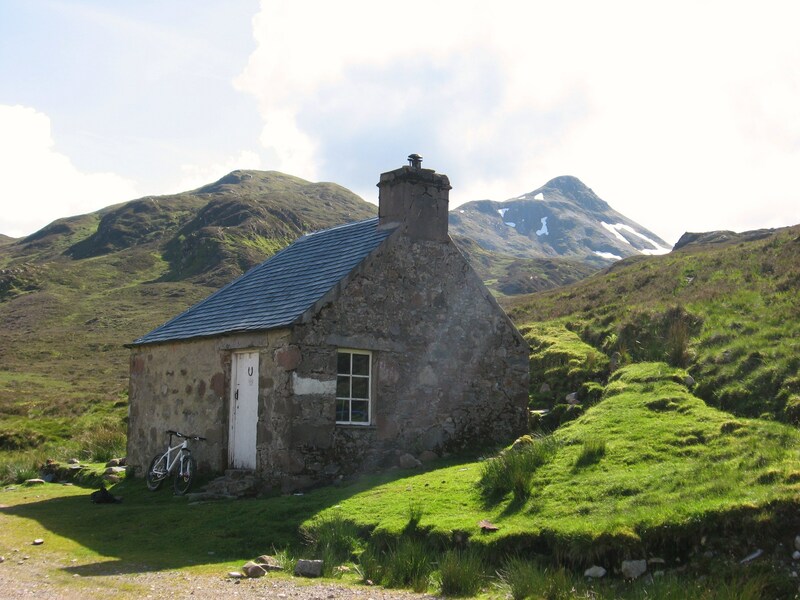 Some bothies have two or more rooms, some have upstairs bed space. Some even have a flushing loo or electricity, sheer luxury amongst minimalism at its most basic level. Sometimes it’s head to toe, and depending on whose toes you are nearest to will often impact on how well you sleep. During the night the scurrying and scraping of little creatures can be heard as they move around the rucksacks looking for an apres-midnight feast. The next morning you all get your gear together, hopefully now dried out, and go your separate ways. It’s likely you will never see each other again. But for a few hours, you shared something special. The Alpine countries may have their high huts, but a night in a Scottish bothy is a unique experience. Most mountaineers and walkers will recognise this scenario. 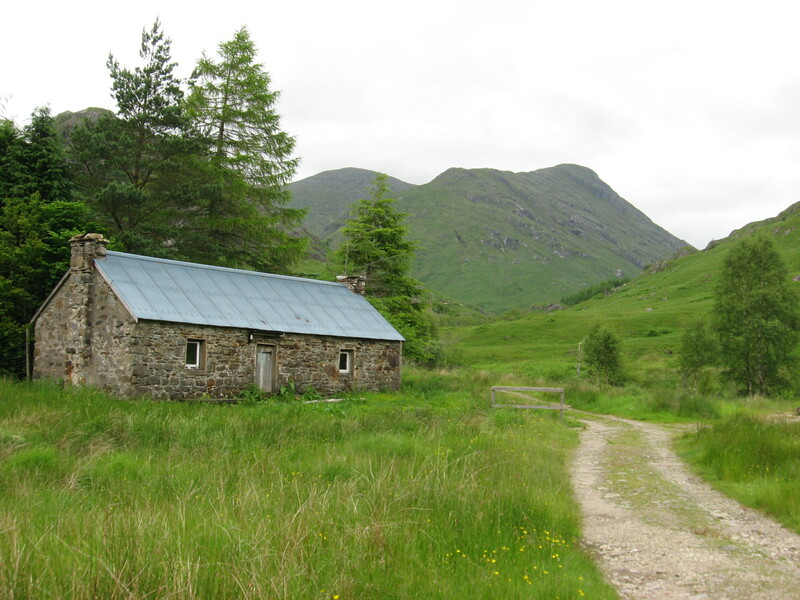 Most will have been glad to have had the use of a bothy at some point during their wanderings. 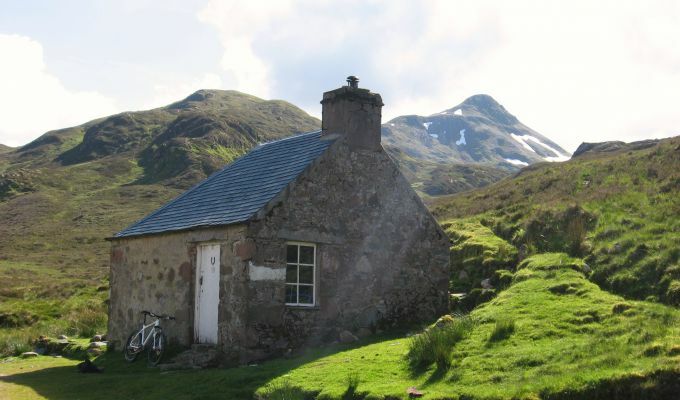 So why is it that only a fraction are paid-up members of the Mountain Bothies Association? This charity organisation does remarkable work in keeping nearly 100 remote buildings all over the country up to scratch to make sure they available for those who need shelter often at the most crucial times. Maintenance work, along with the bulk of administration, is carried out by volunteers. It is financed mainly from membership subscriptions supplemented by generous donations from benefactors, some of whom wish to commemorate a relative or friend. Many people benefit from the availability of these old estate cottages or converted farm outbuildings. Most times, they are used are part of a planned expedition to link chains of mountains or to cross the remoter parts of the country, but sometimes they can be lifesavers for those caught out in deteriorating weather. The work of the MBA was showcased in the Hopscotch Films documentary “Bothy Life” which was shown on BBC2 Scotland on Wednesday, December 9. Then get logged on to the MBA site and join up. Your contribution can be vital. It’s a small price to pay to help this dedicated group keep up the good work.